The automated leak test is a test method by which, for example, components are tested for their tightness against gaseous or liquid media. However, an exact localization of the individual leak point at the test item is not possible with automated methods. Rather, it can be seen that the test piece has a leak. Conclusions about the possible extent or the magnitude of the leak are also possible. Absolute density does not exist in principle; rather, it is a matter of determining the leak rate. With our test leak ATL01 you can test your complete leakage / flow test device cyclically during production. The control can be carried out in automatic or semi-automatic operation. 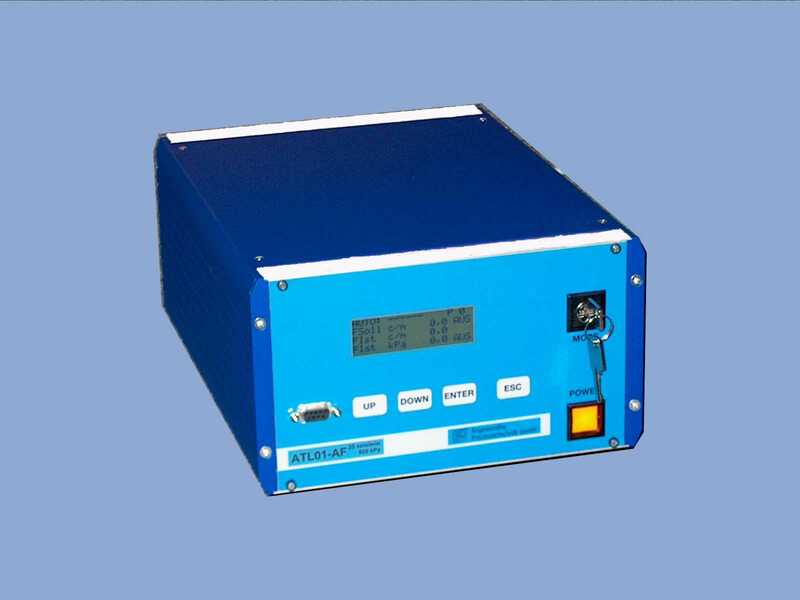 All necessary connections for remote control or adaptation to the pressure test line (test air conditions) between the test part and the leakage / flow tester are available. Since the data can only be processed by authorized persons using a key switch, the required sequence parameters can be stored in the ATL01 by the installer in a fail-safe manner. During production, a test part is determined as OK. The same test part is subsequently checked again in the device. This time, however, the ATL01 is switched on. In the ATL01 the leakage must be set to a value above the permissible sealing limit. The following leakage test must now have NOT OK as a result. In this case, the system operates correctly. Otherwise a defect is present and the system has to be checked. An alternative to the above-described sequence is the realization of an automatically self-monitoring test device. 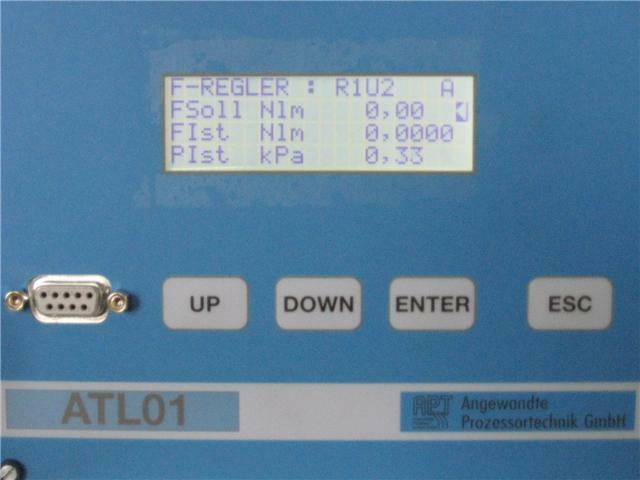 The advantage: The test results of the ATL01 as well as of the leakage / flow tester can be transmitted to the higher-level controller and evaluated so that usable measuring results are available. Inspection plans and protocols can also be processed. The necessary data can be read and edited via the data interface integrated in the front and a PC software. 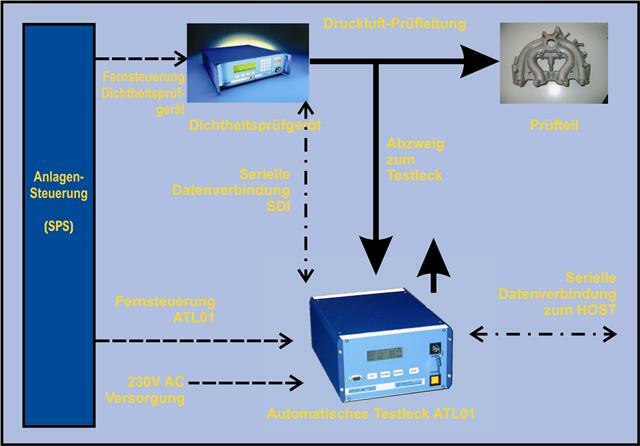 You have questions about the method of automated leak testing with the ATL01? As a recognized manufacturer of leak detectors and leak testing devices for various application fields, we are the right contact. We have more than 20 years of experience and are happy to assist you as an expert consultant. Take advantage of our expertise and talk to us!